Hunter and Bligh is continuing the search for the best Steak Frites in Australia’s CBDs. 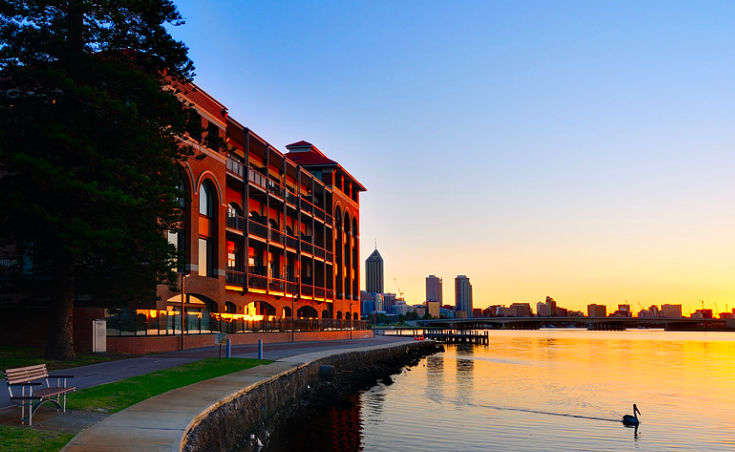 This extension of Rockpool Dining Group is set in the luxurious Crown Perth. Through the sleek candlelit entry way you walk through upon arrival, you can see into the meat dry-ageing room, letting you know this Rockpool, like all Rockpool venues, takes its meat seriously. The menu includes ten steaks, 9+ marble-score wagyu, seventeen sides and hundreds of wine selections. The intimate lighting, beautiful interior and delicious varied options sets Rockpool above the rest. 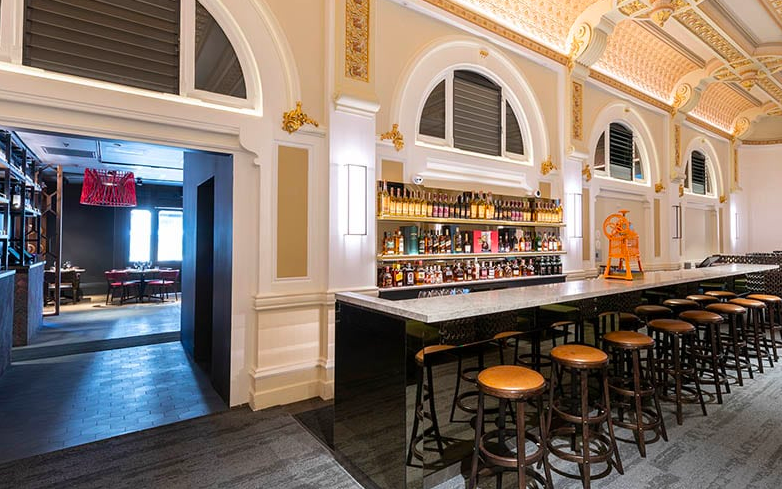 This African-inspired steak house can be found in the beautiful Old Palace Hotel, where different dining rooms have either an old world decadence, or are modern and sleek. The extensive menu covers grass fed, grain fed, shorthorn and wagyu steak options, nine homemade sauces and seemingly endless sides. The meat here is delicious and unique, with enough options to satisfy every steak lover. 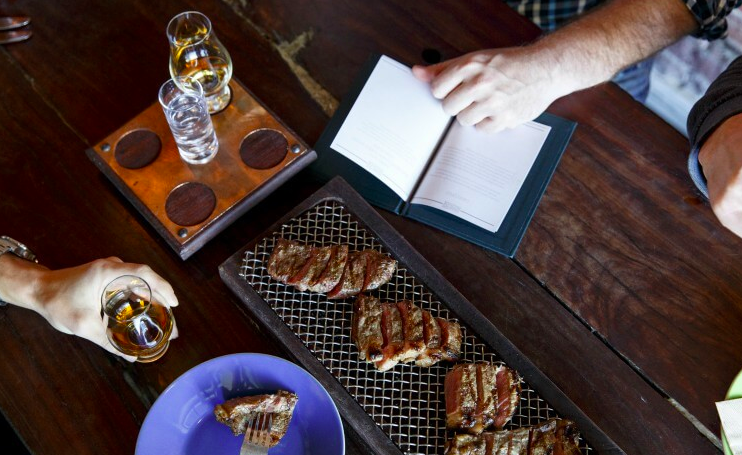 Samsons Paddock offers amazing steak and whiskey pairings, from $28 to $120. The steak is a mixture of grain fed, grass fed and wagyu, and the the whiskey list is incredibly long and varied. Delicious seasonal share plates make a great starter before diving into the beef, and the wine list features local and international beers and wines alike. This 40 year old chain is known for its cheerful American influenced setting and great range of steaks. The signature steak is grain fed beef served with signature steak butter and mashed potatoes, with other steak toppings available. With a great range of cocktails and Western Australian wines, Tony Roma’s has it all. Squire’s Loft is a cosy, warmly lit open plan restaurant with a killer range of steaks. The extensive drinks menu includes local and international wines, beers, spirits and cocktails. The eight options of steaks are basted and grilled served with frites or baked potato. Located in the elegant five-star Duxton Hotel, Firewater Grille provides a sophisticated steak frites experience. 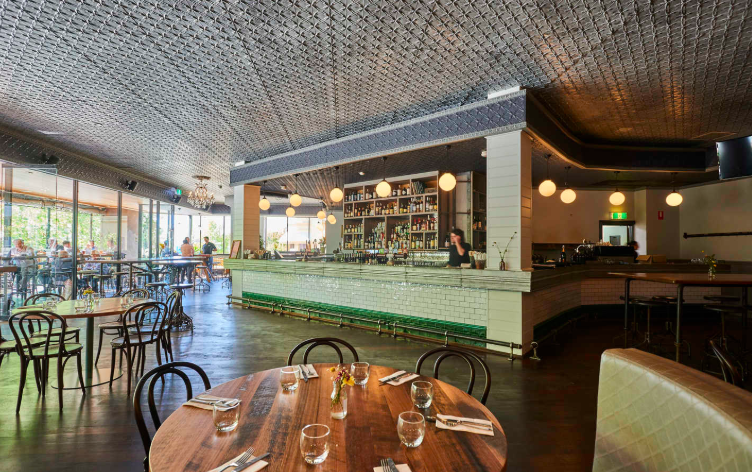 Plush booths and exposed stone characterise this restaurant, and the steaks all come from Treeton Farm- Cowaramup, Western Australia and are of the highest meat standard. A long list of cocktails, beers, sprits and wines by the glass (or the bottle) add to the overall Firewater Grille experience. Mayfair Lane, launched in 2016, is a stylish, well thought out gastro pub. The pub section offers unique and classic cocktails and beers, and the dining room has 280 wines on offer, many local Western Australian. The five steaks on offer all come with frites or duck fat potatoes, and are sourced through local award winning farmers, Stirling Ranges Beef by Butterfield. 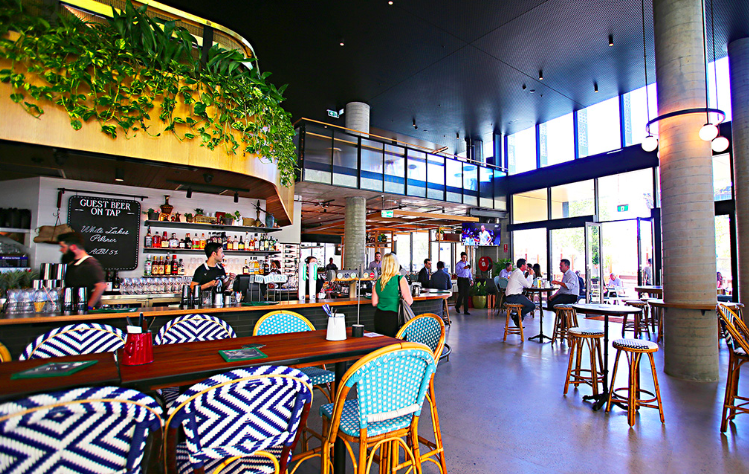 Set over two beautifully decorated floors, both indoor and outdoor, Market Grounds has the best of bar and dining. From the $32 scotch-fillet to the $80 1kg Tomahawk Rib-eye to share, the steaks are delicious and perfectly cooked. The substantial drinks list covers everything you could ask for, from cocktails, beers, wines and champagne. Ascua, named after the Spanish word ’ember’, loves its meat. This is clear as soon as you see the open theatre-style kitchen the restaurant is centred around, where chefs prepare endless dry-aged steaks. Ascua has varied steaks for one or to share, to be paired with local Western Australian or Spanish wines by the Sommelier. This award winning steak restaurant loves its meat and beer. The beautiful views and historic building enhance the dining experience, with thirteen steaks on offer. The most impressive is the Tomahawk Steak weighing in at 1.4-2.7kg of organic Wagyu beef rib-eye to share, hand-carved by the Chef at your table. An extensive list of beers is available, including the breweries own. Want to know how Perth likes their steak?